A gorgeous double stem orchid in the color of your choice beautifully dressed in a ceramic planter. Container will be selected by our designers from our current stock and may not be the one pictured. 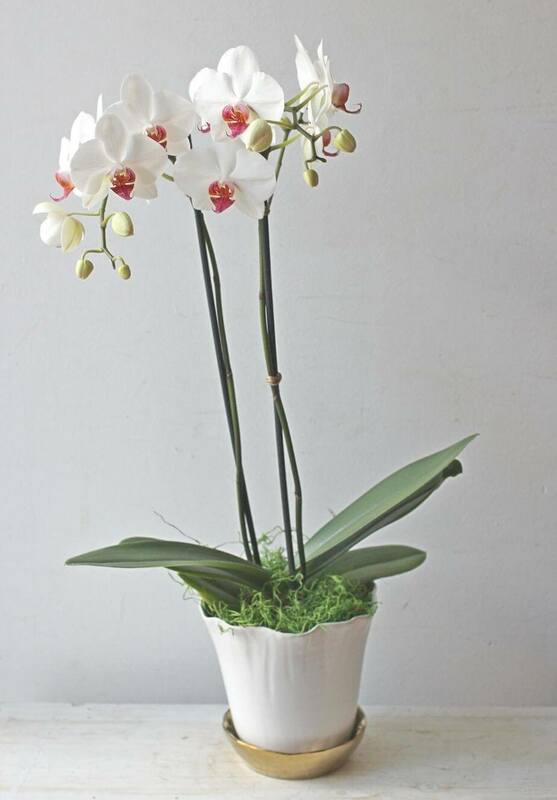 Please denote orchid color preference in order notes- white, purple or designer’s choice.